Baby Vincent made his appearance very soon after I shot his beautiful mama's maternity session a few weeks ago. Can you believe she was full-term in those photos? Gorgeous. Vincent was a dream to photograph, and his parents say he's very mellow and sweet. His big brother seemed to think he was pretty cool too! 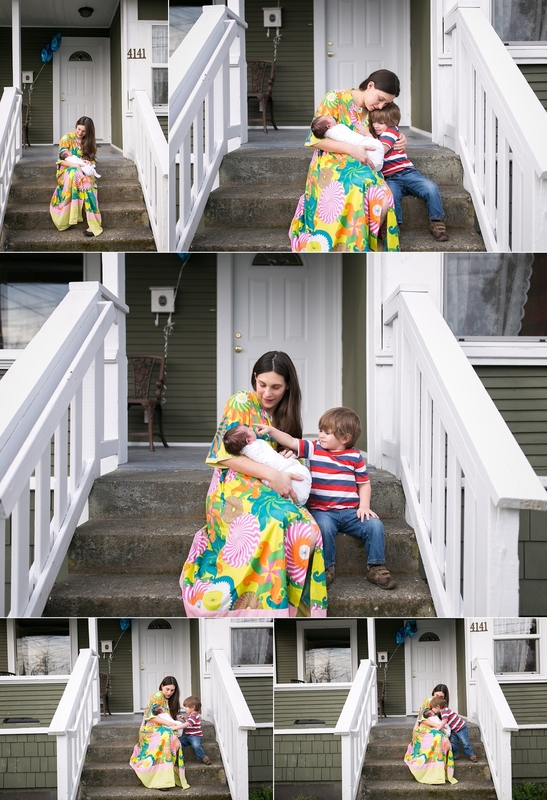 Thanks for having me back to photograph your sweet baby in your home! Thank you for allowing me to be your lifestyle newborn photographer in Seattle, WA. If you’re interested in Seattle/Tacoma Area Newborn or Portrait Photography, please contact me as soon as you can. I'm currently booking through 2015 for portrait sessions and 2015 for births of all kinds. “Like” me on Facebook leave a comment below if you enjoyed the photos! !